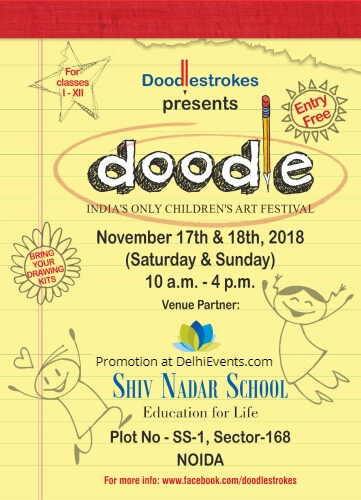 India’s only children’s art festival featuring free workshops on cartooning, illustration, caricaturing, and so on by eminent artists of the country. The event also offers storytelling sessions accompanied by live drawing. In addition, children will get to participate in on-the-spot drawing contests. The workshops are open to children from classes 1 to 12, who are passionate about art/drawing, from all over Delhi and NCR. Two-hour long workshops (on various art forms) for different age groups will be on throughout the day, most of them simultaneously.